Bryn O'Connor brings a little bit of magic to the Just Be Community, serving as an Intuitive Reader, Channel, and Medium. She's always been highly sensitive to other's emotions, and originally sought out to be a licensed therapist in an effort to help those who were suffering. Once she began receiving intuitive messages from the children she worked with, she started doing readings for her friends...and then friends-of-friends. Soon, Bryn saw an opportunity to use her gift of intuition to help others in a unique way, and began pursuing readings as a full-time career. Her job has brought miracles into people's lives, and everyone she touches glows a little bit brighter. I'm so excited to introduce you to Bryn through this interview, as it allowed me to get to know more about who she is and better understand her work. They say that we give to others what we need the most, and this has been certainly true for me. I studied to become a therapist so I could help others deal with the emotional pain that I had experienced as well. Since the age of 14 I struggled with anxiety, depression, food and weight issues, addictions, insecurities and more. I questioned my place here and whether or not I fit in. I started practicing yoga in my 20's as a way to cope with my feelings and the intensity of working in the mental health field, but it wasn't until 3 years ago that I really found myself hooked! At that point, I had a 2 year old son and no family around for support, life felt overwhelming and my old shadows started to sneak back in. Yoga was my reset button. Being on my mat gave me the ability to let go of everything I had been holding onto and find myself again. The anxiety and depression subsided dramatically and for the first time in my life- I experienced the feeling of freedom in my body, mind and spirit! 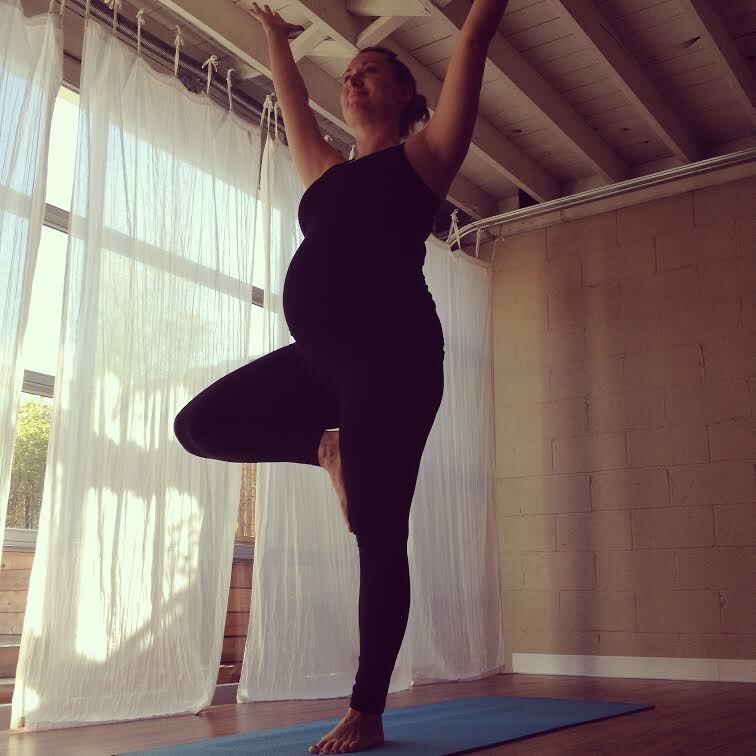 I'm currently 6 months postpartum with my second son and yoga after pregnancy has helped me regain my energy (and sanity!) after a very challenging transition. I used to be really good at finding ways to judge or criticize myself, but yoga has helped me shift my focus to what I'm doing well. I've found so much self-acceptance on my mat and that has really changed my outlook on myself and others. I feel much happier than I ever was before, and I can honestly say that I believe in myself, love my body and know that there are no limits to what I wish to create! I left the therapy world 6 years ago and shifted into spiritual and intuitive work, and since I've had my yoga practice I'm able to go deeper in my work with clients and have more sessions per day. 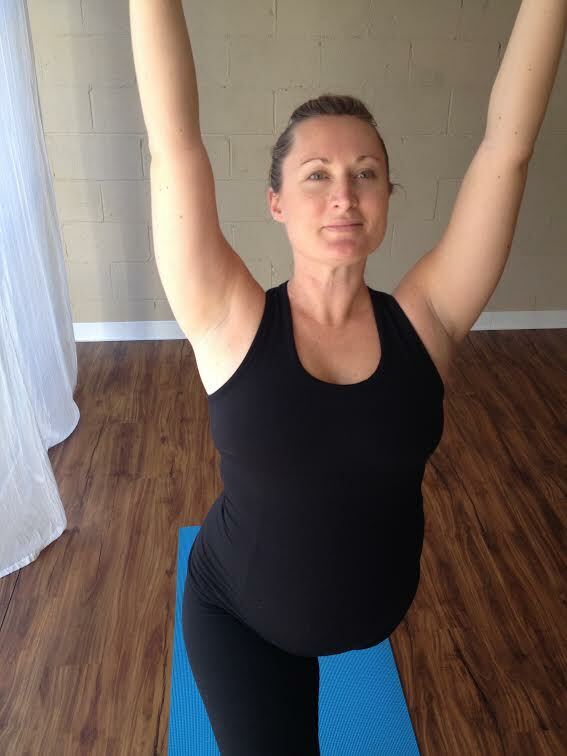 I now schedule my yoga in like an appointment, and structure seeing clients around that so I can stay strong and clear. This question speaks right to my heart! With so much emphasis placed on beauty in our culture, we as women never feel good enough. It's become a disease that so many of us have to heal from! To shift our focus from beauty onto STRENGTH, and to teach girls that the most valuable gift we have is our inner strength and wisdom... that's how we heal from the disease of never-enough and open up to our true potential. I hope that young girls continue this trend of honoring what makes them feel strong and unique! So many! When I first started yoga, I would get the "shakes" a lot. At the time I would get scared and say to myself "I can't! Stop! I'm too heavy! I'm not ready for this pose yet!" and I would get out of the pose quickly. Then I realized that when my body was shaking- it was actually a good thing and I was releasing some major blocked energy. So in class I would practice "inviting" in the shake. And guess what? I was OK! The shake moved through me and went away. This taught me SO much about my emotions. Invite them in! (You'd think a former therapist would know that!) But I was afraid of my emotions so I would avoid them. Now I practice inviting them in, leaning into them, and observing. Yoga has also taught me so much about presence and breath in the moment. Whether it's a laugh with my husband or kids or being out in nature, I allow myself to fully take in the richness of life.